For the past few months, teams from across the globe have been competing in Arena of Valor esports in North America, South America, Europe, and Asia for a chance at a piece of the $550,000 prize pool in the Arena of Valor World Cup. 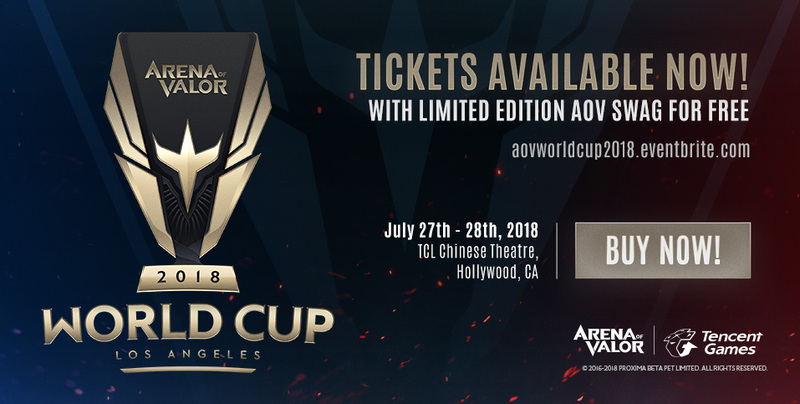 Each ticket purchase includes limited edition Arena of Valor swag. What's included? You'll have to wait until you check-in at the event!